If your business is small- to mid-sized, or an individual that needs a website that accurately reflects your business, fits within your budget, and is completed on time (if not before! ), Affordable Websites Designing Company can help. We are a freelance web design based company for Business owners all over the world. 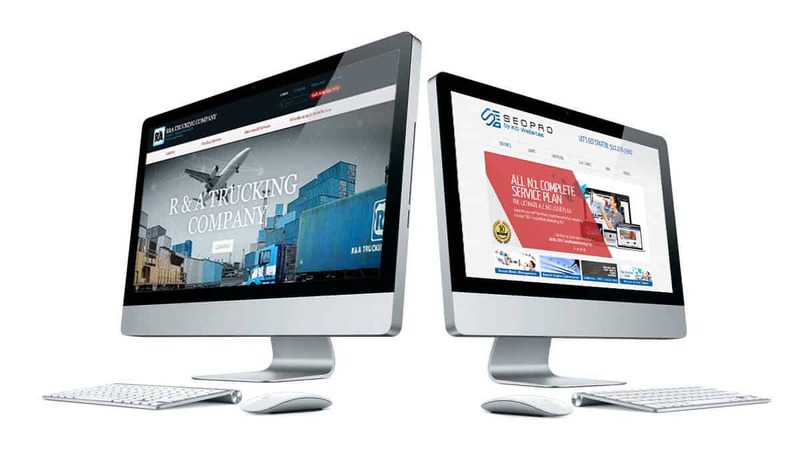 We have developed websites in various industries for clients nationwide since 2000. If you're looking for ease of communication, a fast turnaround time (guaranteed), a friendly, relaxed business relationship, and forward-looking, professional website design look no further! Zion Web Designing, We can do it all for your website from YouTube promotional videos to seo web designers, to small business web design, and business website builder, small business website, local seo services, logos, headers and graphic designs. Heres just what a few of our happy clients are saying! Zion Web Designing did and absolutely amazing job building my new website. Great communication, very easy to work with and the quality of the work was better than I could have expected. Completed faster than expected as well and special attention was given to the small details to make the site perfect fully functional. ConcoursInteriors.net has been live for about 3 weeks and already have 2 jobs as a direct result of the site's professional look. Many Thanks Zion for a great job!! Your company is by far the most reasonable, customer service friendly, and best we have had! EXCELLENT WORK. I am more than pleased with my website. Your work was timely, very creative and UNDER budget. I am so glad i used zion web designing, they had my site complete and up and running in 48 hours. Other web designing companies told me 3000.00 for the site and seo, and zwd did it for 500.00 and the site is beautiful. I will use them always in the future. Thanks Zion Web Designing so much for all your work on designing my website. You worked quickly and were so responsive and attentive to details. Thanks! I must have looked at and talked with over two dozen website designing companies, before i talked with zion web designing, the other companies wanted $1500 to $2000 to build a site that ZWD built for about $300.00 and better looking and no monthly fees, man am i glad i found you guys! I had a great experience working with Zion Web Designing! They helped me turn my website vision into a reality. He made sure that I was 110% happy before he completed my project. We are soo happy with our website, feel free to check it out at www.bizzybeezacademy.com! We highly recommend this company for your website needs. Excellant Work! Will do business again and again! "After a long time of searching for a web Design Company, I was very pleased to find Zion Web Designing a highly recommended Company. Zion Web Designing was given the challenge to create a product that had never before been created. Throughout the planning and development stages I was very was impressed with the dedication to customer service throughout the web design process; and especially their positive, cooperative approach and readiness to answer questions. I was presented with an exciting new vision and Design that fit exactly what I was looking for. The finished product greatly exceeded my expectations the design is exceptional, impressive and up-to-date. I look forward to continuing the partnership with Zion Web Designing as we collaborate to expand this first-class Web site into the future.
" It's just so hard to get quality service because of all the competition in the web industry but i have to say Zion Web Designing is the place to get that as i was really happy with not only the service but also the attention and the time which i got some designing done by the guys there. I highly recommend Zion Web Designing for any website needs." Zion Web Designing has went the extra mile for me to build me a fantastic website, and using them for their SEO services, has put my site on page one of google, bing, yahoo, and other serch engines increasing my business and sales by 100%. A year ago my business was at a stand still, and now we are a success thanks to zion web services. I can't thank them enough. Zion Web Designing has surpassed all my expectations on building my web site The communiction and service is second to none. Thank You for a great job!!!!!!!
" Zion Web Design Is Top Notch!! Excellent service with super fast responses to emails with questions. Expert in SEO and got my website up and running with the Search Engines & Google. I Highly Recommend Zion Web Design!!"